USES: Protein assimilation hormonal. 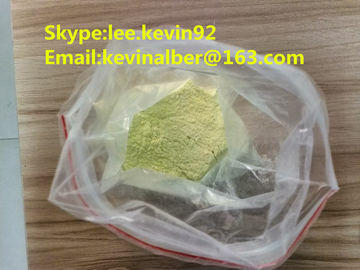 Trenbolone is a steroid used by veterinarians on livestock to increase muscle growth and appetite, to increase the half-time, trenbolone is not used in an unrefined form, but is rather administered as ester derivatives such as trenbolone acetate, trenbolone enanthate ortrenbolone cyclohexylmethylcarbonate, a normal bodybuilding dosage can range from 200mg/week to 1400mg/week. Trenbolone acetate can be injected once a week, also trenbolone acetate is often refined to as "Fina" by user, trenbolone compounds have a binding affinity for the androgen receptor five times as high as that of testosterone. For more details, pls feel free to contact with me I will supply my soonest reply and help to you.Thanks.